With a special figuring out of this central industry, we are counted as prime most brand, engaged in supplying a vast variety of Rubber Silent Block. 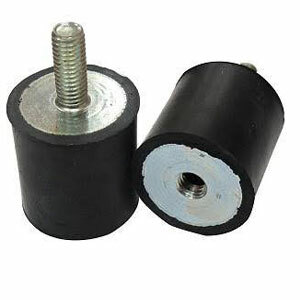 The Rubber Silent Block bushes used in automobiles are capable of taking varied types of load intensity such as torsional movement, axial & radial load. Rubber Silent Blocks comprises two concentric steel sleeves enabled with rubber that is securely bonded between them. Customers can avail these bushes from us inside given period of time at affordable price.